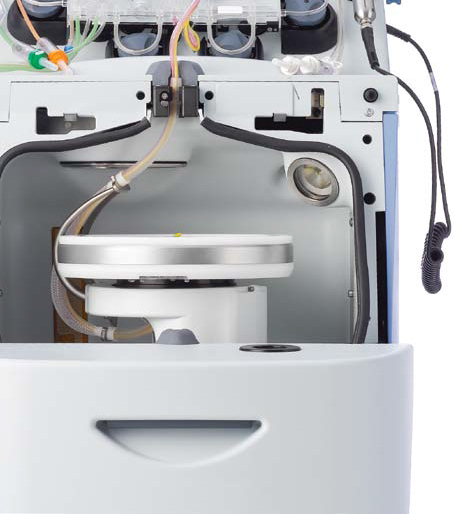 The Spectra Optia is the industry’s next generation therapeutic apheresis and cell collection device, fully automated, autonomous, with unparalleled versatility ,robust technology that delivers consistent predictable results. Simplifies screen navigation by presenting important procedural information all at once at the right time. Provides simple data entry, enabling operator to enter data directly, without manual calculation, reduces operator training time. 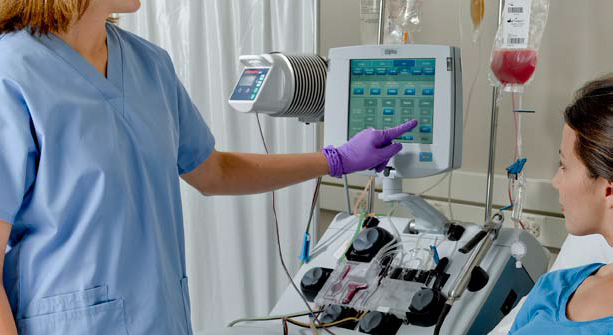 It has continuous flow centrifugation technology and complete tubing sets with all the necessary lines filters and bags, low volume to accommodate small patients and patients with low HCT. Automated Interface Management (AIM) uses a unique optical interface detection system to perform real-time monitoring, interpretation and adjustment. Monitors the interface position and thickness of separated blood components , up to 25 times per second with a resolution of approximately 10 microns. Interprets interface information using a unique optical detection software and adjusts the pumps and valves to manage the interface position and efficiently remove targeted components. Small weight (92kg) ,compact ,transported easily without the need of recalibration. Simplified color coded ready to use disposable minimizes operator training, errors and number of manual steps for system setup.